This is a throwback story. Happened on 23rd January 2015. I was going back to my hometown. Normally I will take Elite Highway and exit at Klia. That day also as usual I was driving. Luckily I was not speeding that day. I was thinking about stuffs and driving slowly in middle lane. Suddenly I heard a loud bang in my car door. I got shocked and thought I hit any vehicles. But that time no vehicles on my right and left. So, I continued driving without stop and I heard noise like under my car. So I put signal and slowly went to emergency lane and stopped there. I got down from the car and checked on the door. 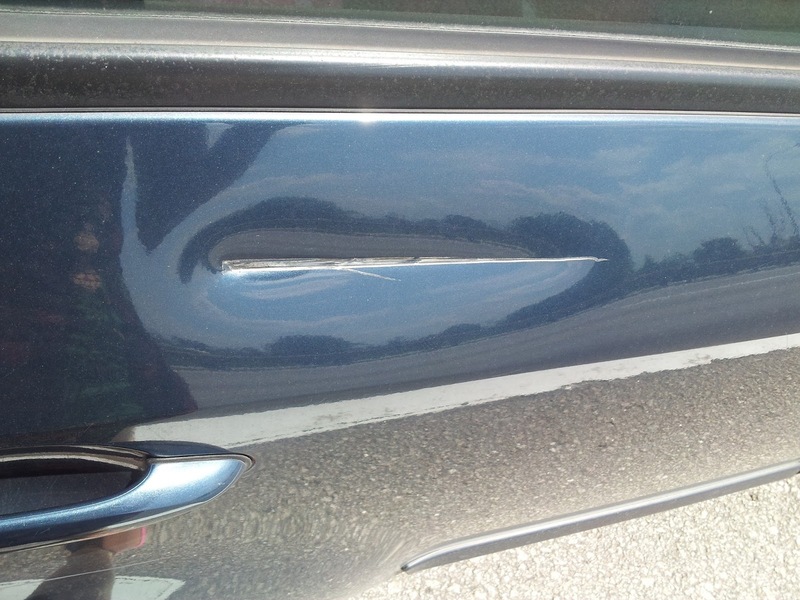 I saw a dent like something hit. I thought nothing else wrong and decided to drive again. Once I started moving, again I heard the noise. So again I stopped. 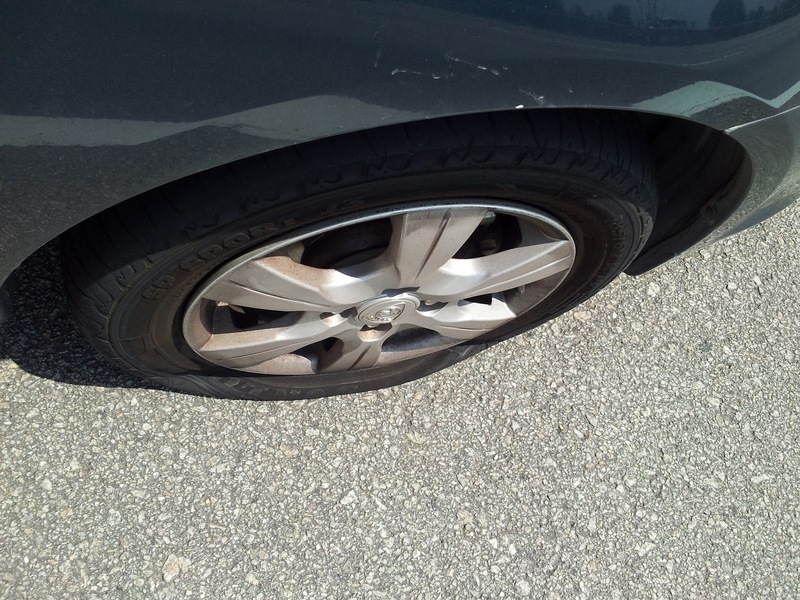 This time I checked the tyres and saw my front tyre was punctured. I got very sad and felt helpless. I felt like crying because I was alone on the road. Then, I started to think. First I called my car insurance etiqa takaful helpline. The voice machine answered saying saturday until 12.30 pm only. That time was around 1pm. Then, I called my brother. Wanted to ask him to come fetch me. He said ok and started bombarding me with lot of questions. While talking to him, I realised I can try call highway helpline and ask for help. Then I told my brother to wait. No need to come yet. After that, I called the Elite Highway helpline. I googled for the number since I used touch n go, so I could not refer to the ticket. The number is 1800-88-0000. I called and told them about my situation. They asked for my location and said will send help in a while. Meanwhile, my brother called and told me sit inside the car and lock the door. So I sat inside the car and waited for help. The help came and they did not talk much. Just took out my spare tyre and changed the punctured tyre and left. Anyhow, I am very very grateful for them. Because of them, independent female drivers can drive with confident on highway. Later, I went to workshop and changed four new tyres, brake pads and chamber nuts was a different story. 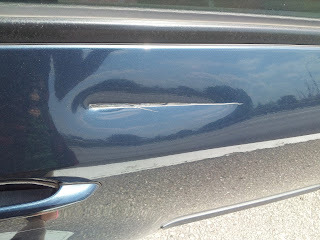 I spent RM820 just on that day at the workshop...huhu... And I have not fix the car door..Haiss..